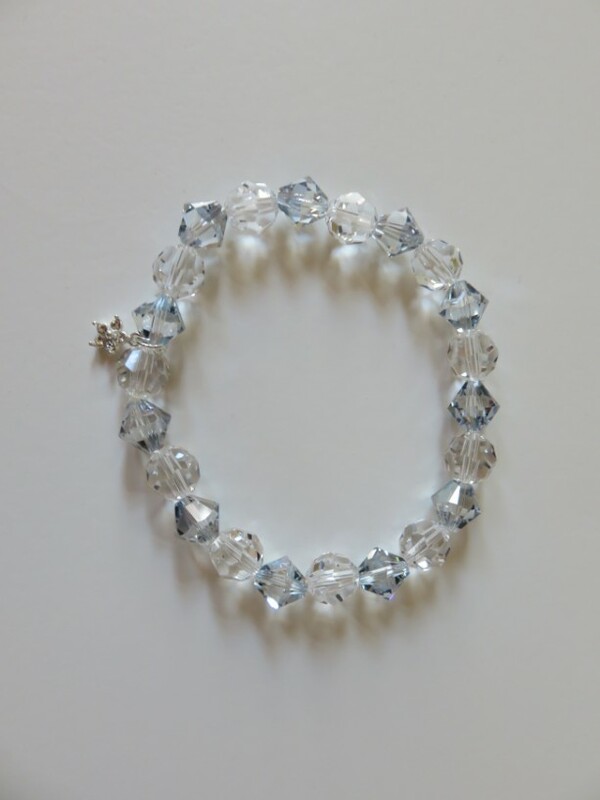 7.5" stretchy bracelet made with genuine Swarovski crystals both round and bicone. The bicone in this Flower Power bracelet is pale blue and the sterling silver flower charm includes Swarovski crystals in clear. The charm is attached with a sterling silver split jump ring. The charm is tiny but has a big sparkle.